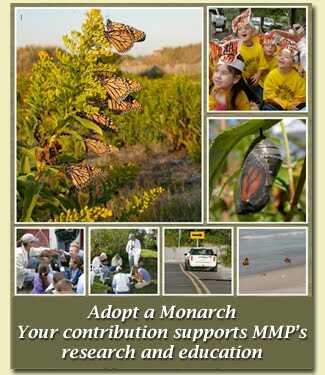 Cape May Monarch Monitoring Project: "River of Monarchs"
I'm diligently working in the office today, and word comes from our project field coordinator Louise Zemaitis that there is a "river of monarchs" streaming along the dunes in Cape May Point. I guess the office work will wait. If you're close to Cape May Point, maybe I'll see you there in a few minutes.